When you visit exotic places, frequently you meet interesting and special people. This is an example of self selection at work. 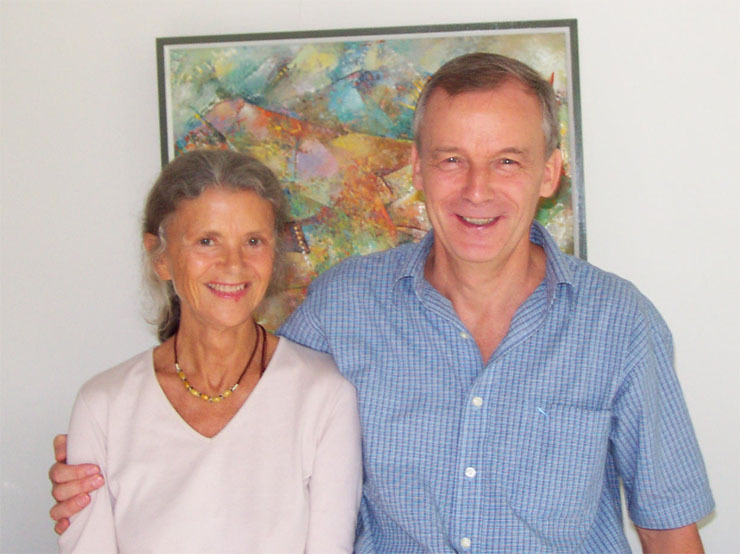 I met Jan Eilers and his mother in the Galapagos Islands in 1994. 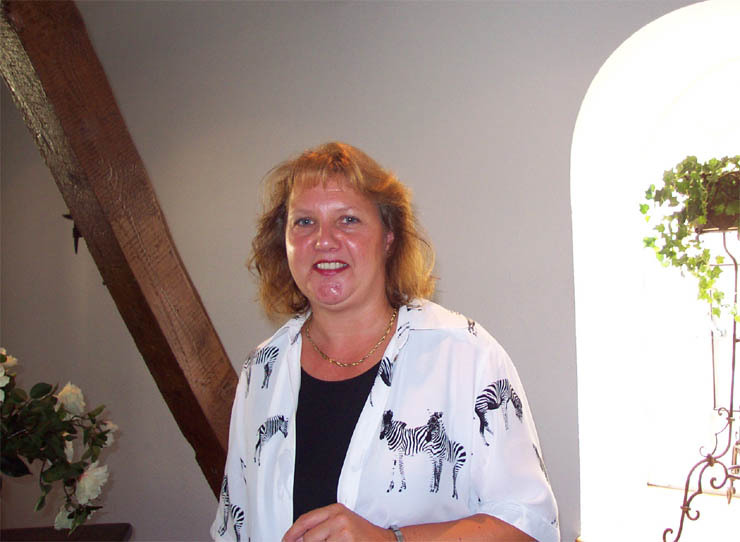 I visited them in Germany in 1995 and met Jan's only brother Lars Eilers, who was then in medical school. In 1998, Jan and I made a trip to Hawaii where he took some great photos of me running off Mount Haleakala, 10,000 feet high, for my first flight in a hang glider. In 1999, Jan visited me in Chicago with his very special girlfriend, the beautiful and brainy Bianca. [Bianca has a PhD in Geography.] I could see immediately that she was the one for him. What a lucky man! I wasn't surprised when I got the wedding invitation in 2003. 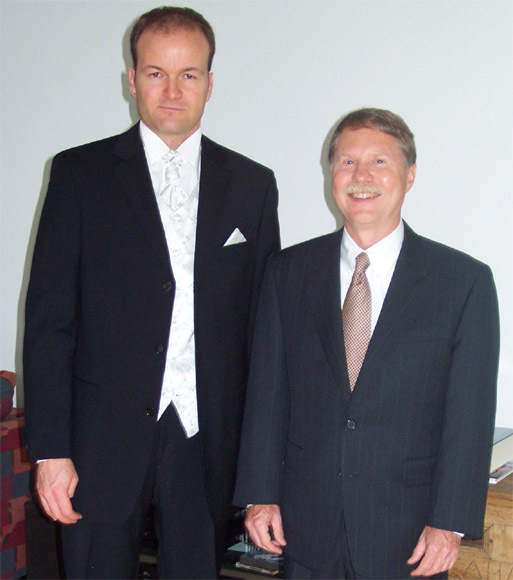 I was surprised, but deeply honored when I got the call from Jan asking me to be Best Man for the Church ceremony. His brother was Best Man for the civil ceremony. My complex travel plan used the QE2, trains thru the chunnel, a 2 day side visit to Normandy on the way to Germany. Return was via trains to London and the Concorde. 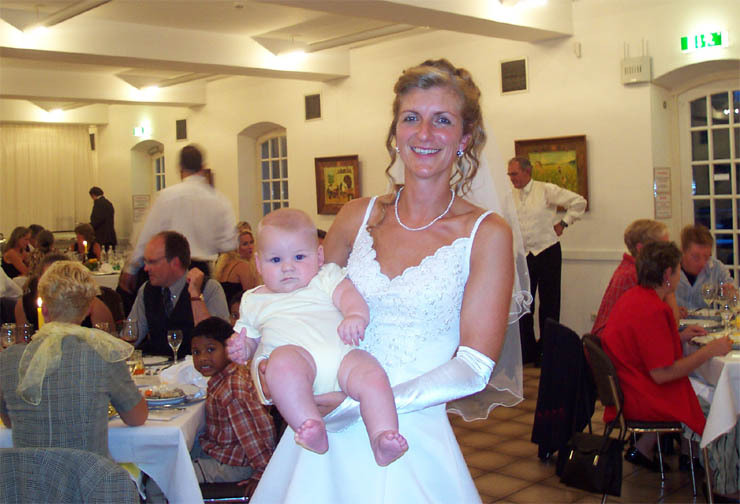 The civil wedding was held on Thursday, August 28th at 10:00 in the Standesamt Niederpleiser Mühle in St. Augustin, a suburb of Bonn in crystal clear weather. This is a nice facility build around a centuries old mill where weddings are scheduled every 30 minutes. Jan, Bianca, their families and a few select friends went up the stairs at the appointed time to a large office. Jan and Bianca sat in chairs in front of the desk of the government official. The rest of us were standing around with video and still cameras. The government official was stunned at the amount of videotaping and she even commented on it during her talk. The ceremony was informal and she explained to the couple that she would be asking them a question soon and they needed to think about some things first. I wasn't able to understand all of the advice in German, but it was well received. Finally, she asked the questions and both Jan and Bianca answered "Ja". Boom!! They were married. The government gives you a "Stammbuch" where you can record your genealogy and also there is a list of legal first names. I was pleased to see that "Donald" is a legal name in Germany. Then we went back to the house for lunch for the immediate family. That evening Bianca left. This seems confusing that the bride and groom are separated on their wedding night, but this happened because the Church wedding was occurring the following day. On Friday, the Church wedding was scheduled for 3:00pm. Jan and I arrived early at St. Pankratius in Königswinter-Oberpleis to check on the details. 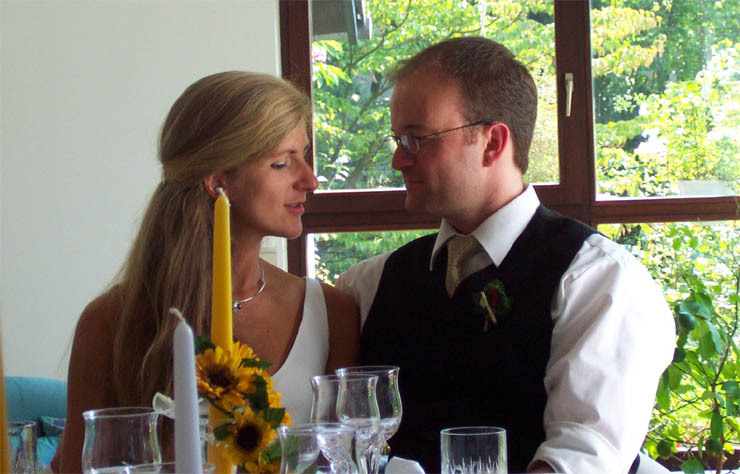 Jan introduced me to the Priest and explained that I was an American and this was my first German wedding. The Priest, who was 77, explained that this was going to be his last wedding! The ancient Church was picture postcard perfect and the exactly the right size for the 60 plus wedding guests. Jan's aunt was the soloist and did a magnificient job. Germans are justly proud of their church music. After the service, there was a champaign toast in the church cloisters because it was a misty day. 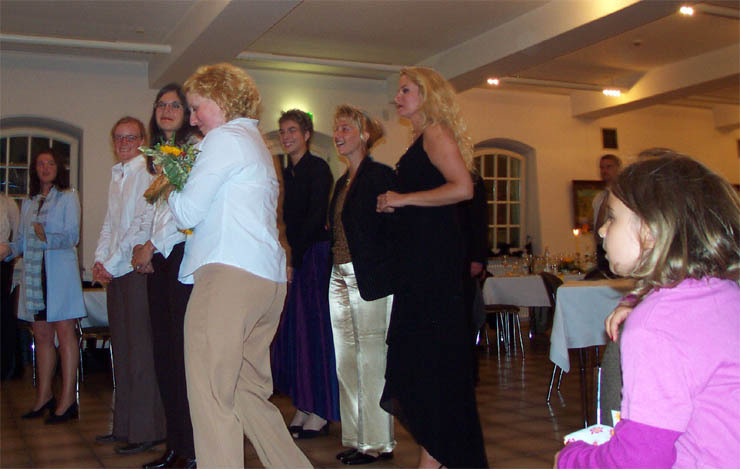 The wedding reception, held at Haus Schlesien, was a lot of fun: music, dancing, speeches, a 25 piece band and games!! My favorite game, which I think should be a standard at all wedding receptions, was the "shoe" game! Jan and Bianca, sitting back to back, had to remove their shoes and swap one with each other. Then they were asked about 30 questions that they had to answer simultaneously by holding up the shoe of the person that it was true of. The audience could see how each answered, but Jan and Bianca couldn't see each other. Some examples: "Who is best organized?" -- both Jan and Bianca immediately raised their own shoes. "Who takes out the trash?" Both raised Jan's shoe. "Who is most active in bed?" Slowly Bianca raised her shoe and more slowly Jan raised her shoe too! Sometimes the audience laughed, sometimes they groaned, sometimes they just smiled. Viel spass! Other games: the millionare quiz (where Jan and Bianca won), the powerpoint presentation, the ballons with postcards attched with promises to the couple to be mailed by anyone finding them, the 48 page fake magazine with real and imaginary photos of all of their previous boyfriends or girlfriends, etc. Their friend had well prepared the games! I was very impressed with the talks given by the couple and their parents. 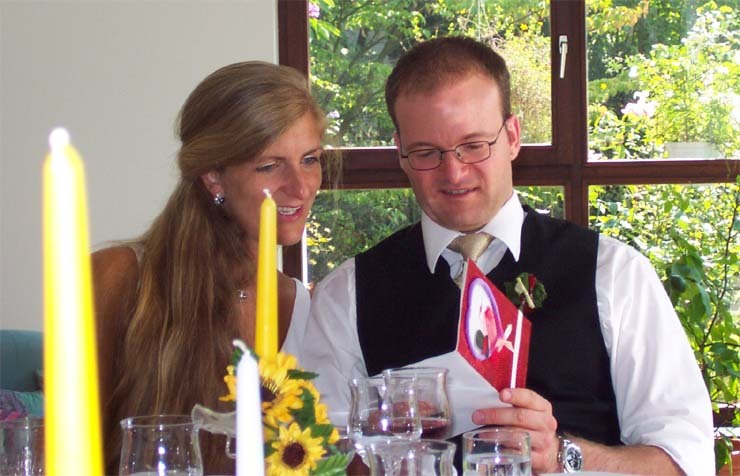 These speeches were carefully written, typed and read word for word to the guests. Of course, there was dancing and I danced with the bride. It was a wonderful wedding with good memories for all who attended and I was honored to be a part of it. 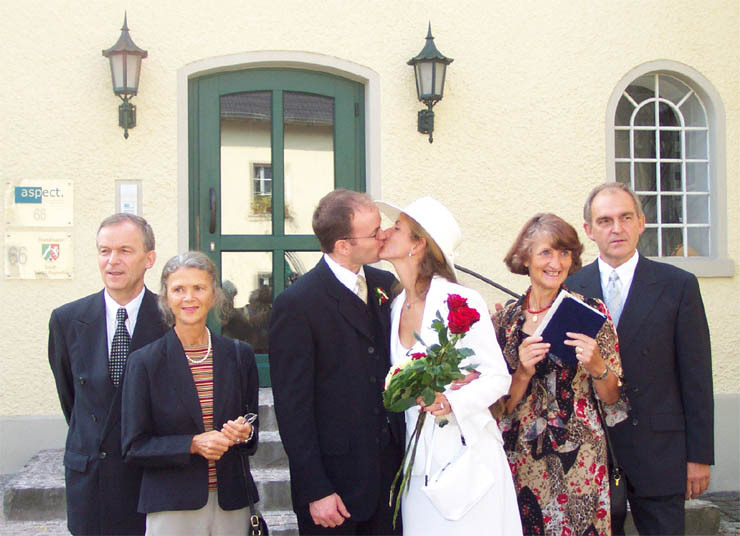 Herr and Frau Eilers have spent many years outside Germany (USA, Russia, Kazakhstan, Malaysia). He is a diplomat. 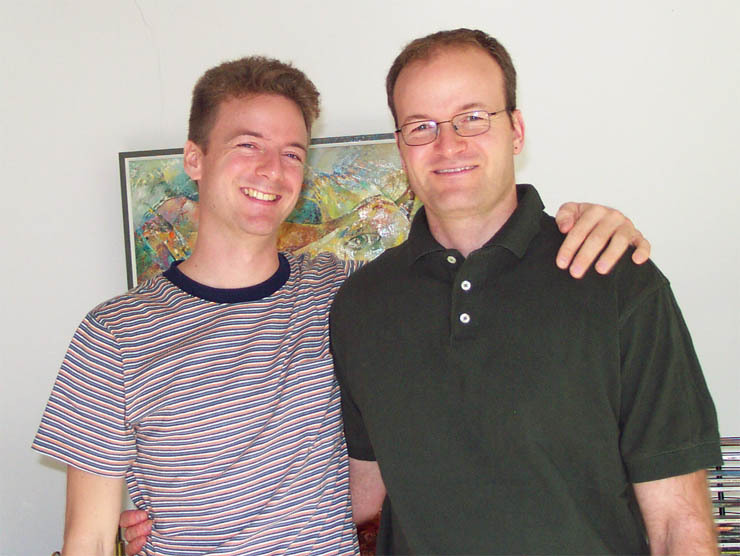 The brothers: Lars and Jan Eilers. Lars is a doctor performing his residency. Jan and Bianca before the wedding with sister Stefi and her husband in background. 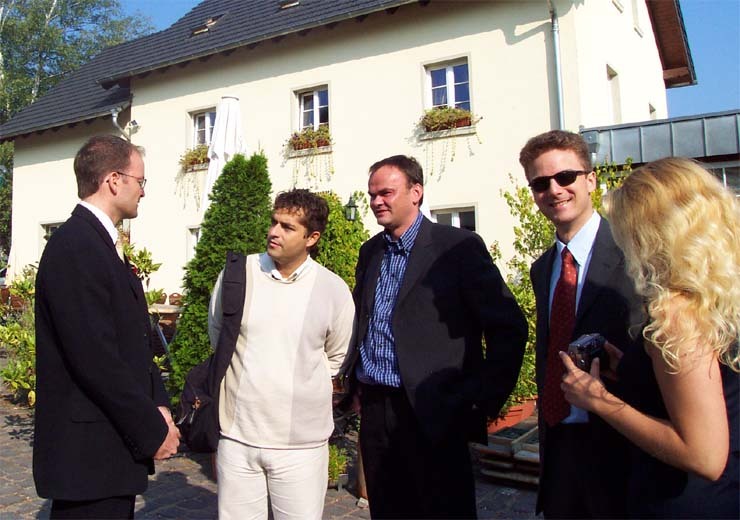 Jan and old friends, Yacine Benaldjia and Harald Schweitzer, with Lars and his girlfriend. The government official who performed the marriage service including giving useful advice. The happy couple after the wedding ceremony with their parents. Major photo opportunity one: Jan prepares to carry Bianca over the threshold. Major photo opportunity two: Jan gets a kiss for completion of traditional groom job. 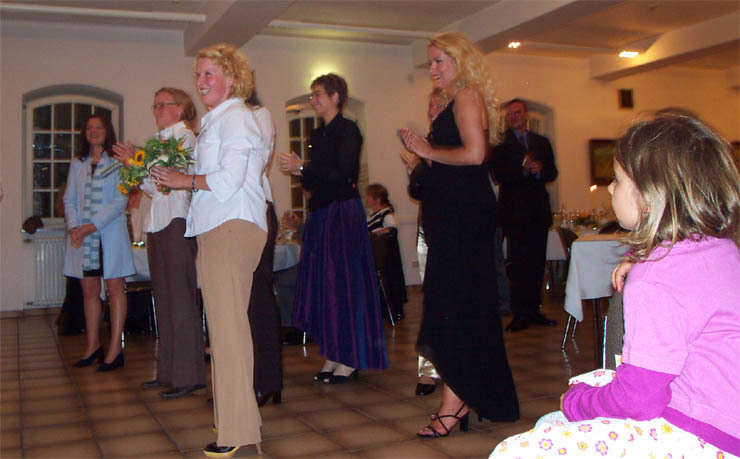 Jan and Bianca open their many wedding gifts in front of parents and wedding party. Jan and Bianca share their first private moment since their wedding. Jan looks serious before the second wedding ceremony in two days. I'm very calm. 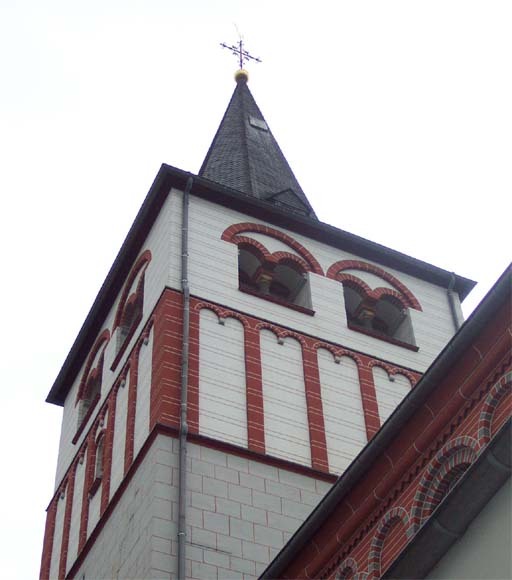 St. Pankratius is historic and was the right size church for the number of guests. 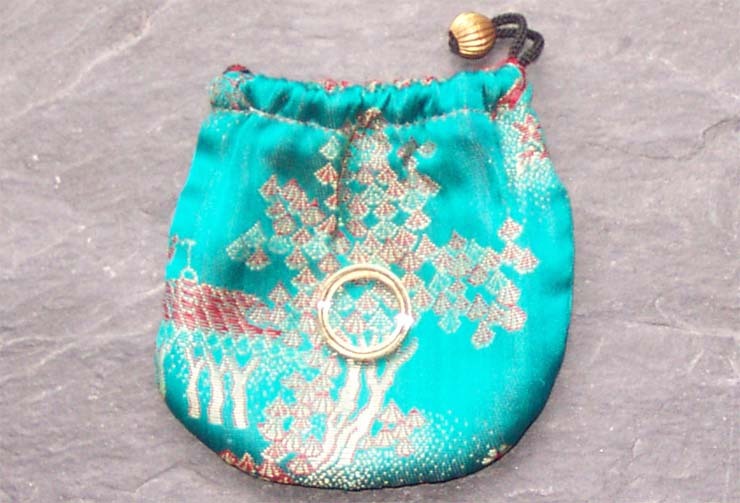 As Best Man, I worried when I felt only one ring in the silk purse. No problem!! 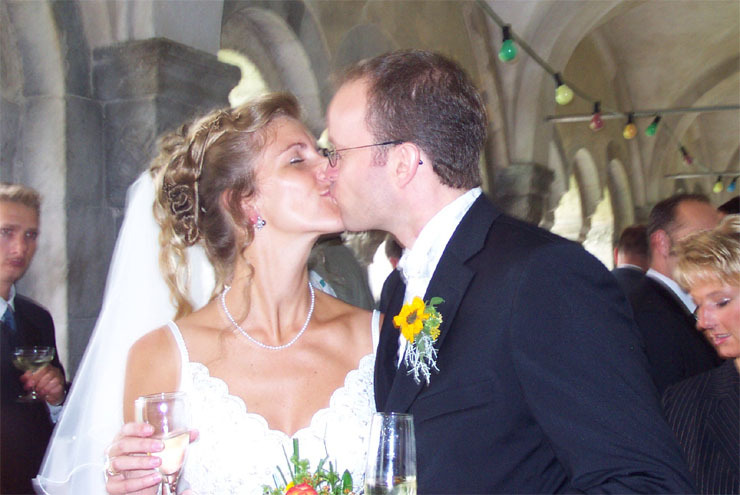 A kiss during the champagne reception after the church wedding ceremony. 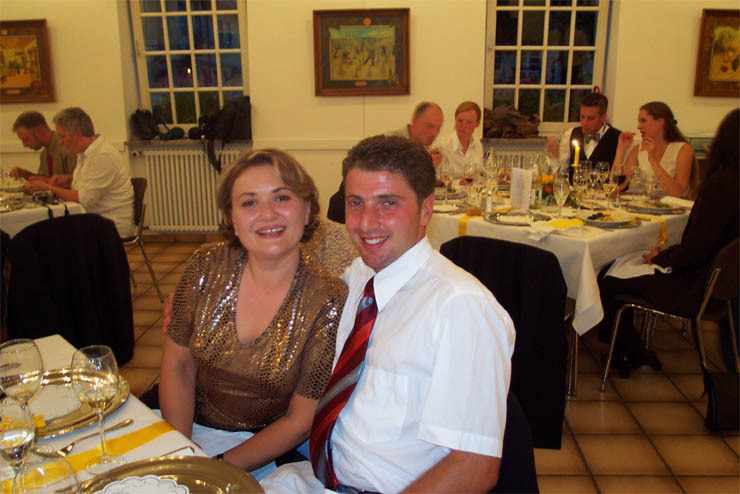 Josef Kligman and his wife, Roxanne came to Germany from Ukraine in 1992. Wonderful party at Haus Schlesien! 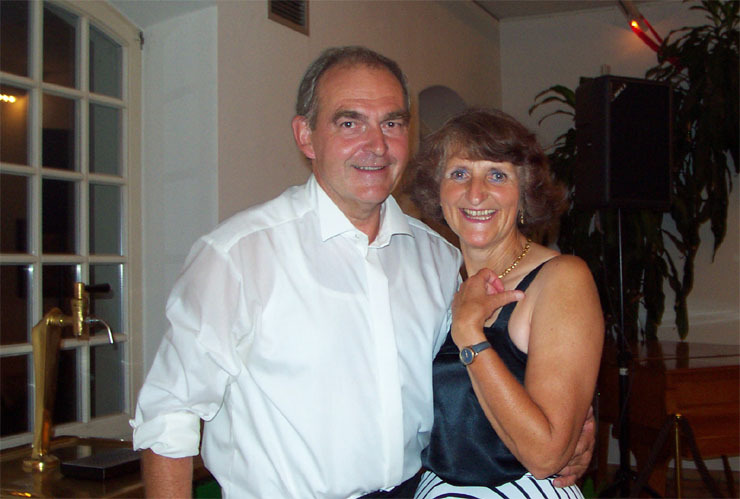 Bianca's parents Hans-Peter & Renate after a number of dances. They are good dancers! 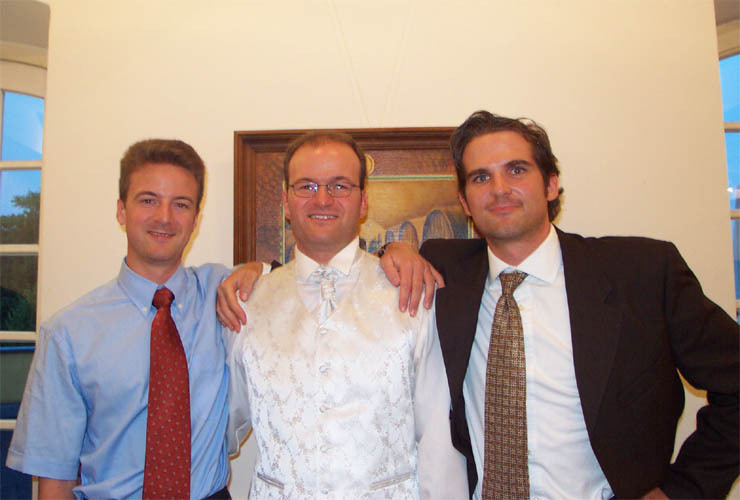 Jan flanked by his brother Lars on the left and their cousin, Niels Mathiessen. What every bride needs at her wedding reception! Bianca holds Sandra's 9 month old boy. The traditional bouquet toss by the bride to select the next bride. The winner is happy. Eligible women congratulate the winner, but will eligible men be afraid to dance with her?